Lots of Titans. One Arrow. 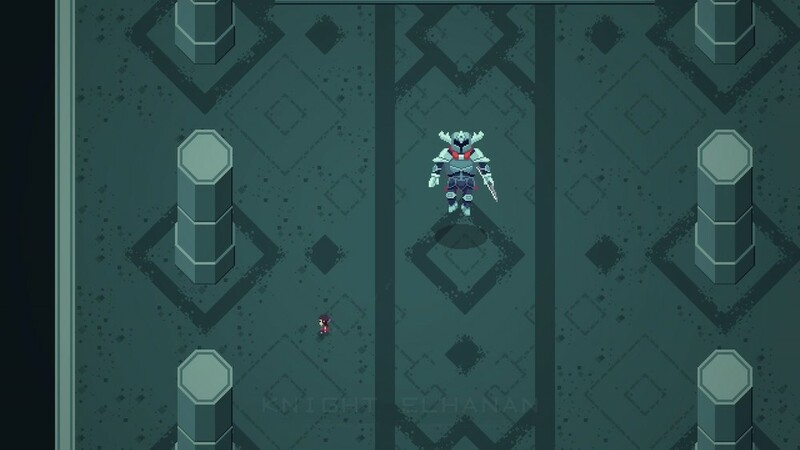 Titan Souls was developed by a 3-man team, but I never would have guessed it with the polish and care that it put into the world. As my journey began, I was able to quickly acclimate to the roll/run/shoot style of gameplay. There was one catch, though: I only had one arrow. There are two main actions to perform in this game: roll and shoot. The nuance of how and when to perform these maneuvers is what gives the game a sense of depth. Right from the start, I realized that my timing and aim needed to be nearly perfect if I hoped to have any success. One battle includes a titan with a giant flaming rock and one small eyeball as its only weak point. Land an arrow in that eye, and victory would be mine. Sound simple? It’s not. It was my job to coax the monster to roll at just the right angle for an opening for my arrow. Bad timing or a slight variance in my aim, and I would be flattened. After several tries, my arrow found its mark, and the beast was dead. That brings up another major adventure game staple that Titan Souls forgoes altogether: health bars. Our hero as well as the titans themselves can felled with a single blow. 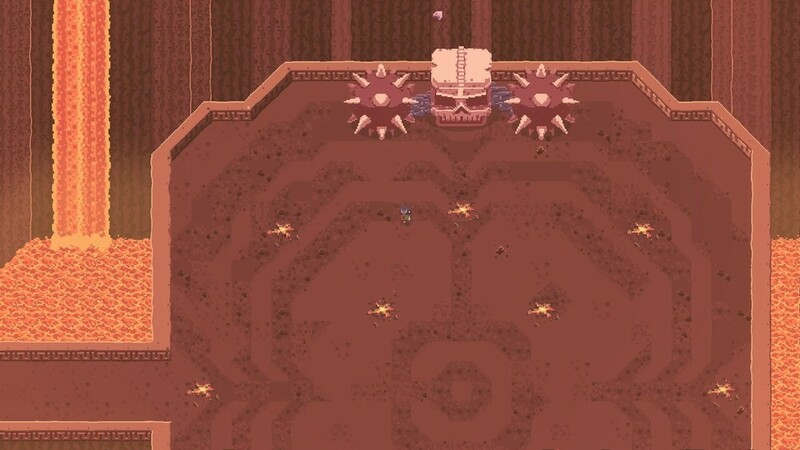 The advantage that the monsters have, however, is their unique defense system. They utilize everything from metal armor and rocks to giant blobs of green goo. It was up to me to figure out their pattern, discover their weakness, and exploit it for an opening to shoot them. A key component to using the bow and arrow includes the ability to “pull” your arrow back to you. After firing, holding that same button performs a “force pull” style ability that brings the arrow back to you. This is especially helpful when the fights become more frantic towards the latter half of the game. It’s an essential ability during certain fights, and one battle in particular features an enemy who kept his weak spot facing away from me. The only path to victory involved thinking outside the box. 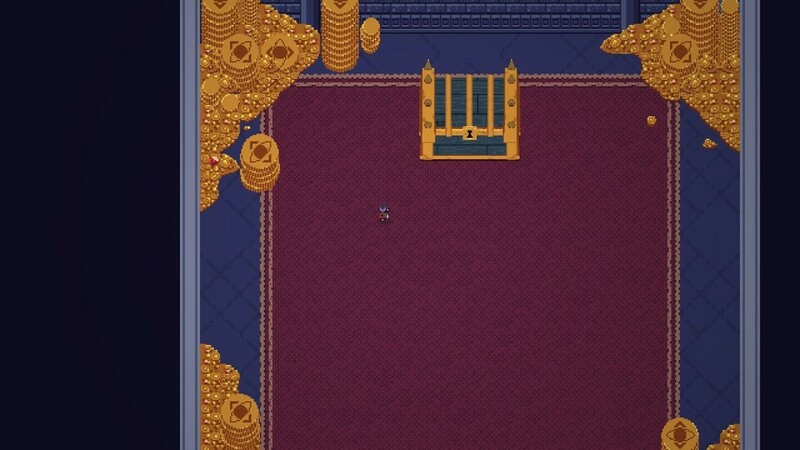 This game could easily pass for a Super Nintendo or Sega Genesis title. The overhead view reminds me of The Legend of Zelda or Pokemon, and the pixelated textures seem to draw inspiration from more recent titles such as Sword and Sorcery and Fez. The world feels barren and devoid of life, so when a Titan roars to life, it can be quite startling. The Titans themselves are creative in the way they look and move - each with its own unique design. Don’t let the retro graphics fool you. Great care was put into the visual detail of this game, and when seen in motion, it’s quite beautiful. The sound effects in Titan Souls are clear and crisp. The smash of a titan’s hands on the stone floor or the bounce of a giant blob are brought to life with top notch audio work. The music is a beautiful medley of songs in a minor key. The piano ballads of the overworld are accompanied by soft wind pipes, cello, and acoustic guitar. When the battles begin, the music shifts into unique fight themes that complement the game’s difficulty with an ominous atmosphere. The game didn’t tell me why it was sending me from fight to fight against these beasts, but I didn’t need to understand the motivation of my little unnamed hunter. All I needed was my trusty bow and directions to the next lair. Despite the lack of dialogue or direct narrative, I was able to fill in the blanks on my own. I was still quite emotionally attached to the brave little guy, and by the end of each agonizing battle, I was happy to see the titans turn colorless and still as their souls were pulled out of them. There is an eerie silence after each battle that gives each victory an undercurrent of sadness. The final boss and ending provide a fitting resolution to the unspoken epic.